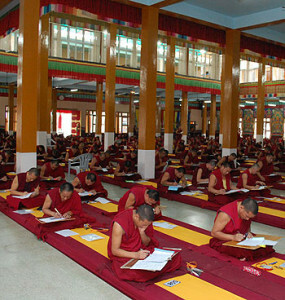 FPMT Education offers study programs to students at all stages of their Buddhist education. You can learn at home, online, or at an FPMT center near you. If you have any questions about how to take the next step with your FPMT Education, we’re happy to help! Mandala’s eZine in August 2011 was dedicated to FPMT Education which is now archived and freely available. Other articles featuring FPMT Education can be found on the Mandala website.